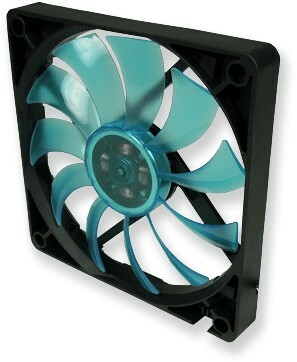 With a thickness of under 16mm and featuring Hydro Dynamic bearings, a massive 5-year warranty and quiet operation, this slim 120mm fan from Gelid is ideal if space is at a premium. The Slim 12 UV Blue features a unique Hydro Dynamic Bearing. This bearing ensures quiet operation and a long life. The optimised fan blades generate high air flow and its impeller is UV Reactive. The Slim 12 UV Blue has a start voltage of only 5 volts and a 5-year warranty.